I’m not exactly a gamer; I’m that klutz who gets killed in the first level of any game. Still, I love my Xbox One. It’s the main streaming and TV entertainment hub for my home theater. The new Xbox One S adds 4k ultra-high definition with high dynamic range. This is the device I’ve needed to go with my UHD TV. Because its disc player is a new Ultra HD Blu-ray (4K) disc player, the Xbox One S ($399 for the 2TB launch edition on Amazon, a 1 TB Madden NFL edition for $349 or $299 for the 500GB Halo Collection Bundle on Amazon) can handle the new discs in all their ultra-high-definition picture and sound quality. I won’t have to buy a standalone UHD player for almost the same price. New 4K capability and a sleek design that allows the Xbox One S to stand upright are the biggest differences between the Xbox One and the new Xbox One S. Because the One S can stand vertically, it takes up less space; in many cases, it can be placed alongside your TV. The power supply is now built in — no more huge, unsightly brick attached to the power cord. Better placement of USB ports and a controller pairing button on the front and side also help make the unit more convenient than its predecessor. This summer will bring a software upgrade to both the Xbox One and the Xbox One S. I’m looking forward to the addition of background music (which wasn’t available on my review unit but should come out today). Once you start the music playing, you can leave the app and the music will continue to play as you do other things on the Xbox One. Initially, background music will only work with the Pandora app. Support for Groove Music and iHeart Radio will be added soon. The upgrade also brings changes to the Xbox store. You’ll now be able to buy Xbox games from a Windows 10 computer. This fall, Xbox and Windows 10 game integration will expand with a number of games on Xbox Play Anywhere. Once you buy an Xbox Play Anywhere game, you’ll be able to play it on the PC or the game console. If you like to chat with friends on Xbox Live, it will be easier to keep in touch when you’re away from your console. The Xbox app for iOS and Android will include notifications to let you know when your friends have come online or when they send you a message. My Xbox One has been my main home theater entertainment hub since it was released in November 2013. Its vast array of video streaming apps include Netflix, Hulu, Amazon Instant Video, Comedy Central, Crackle, Encore Play, Epix, HBO Go, HBO Now, NBC, Showtime Anytime, Starz Play, SyFy Now, Telemundo Now, Plex, Vudu and YouTube. Sports apps include ESPN, NFL, MLB, WWE and NHL. At launch, the Xbox One S will be able to stream Netflix in 4K. In the coming months, 4K content will come to the Amazon Instant Video app and others. I’ve always been surprised how regularly the Xbox One has added apps and upgrades, and I expect that will stay the same for 4K apps. Along with streaming video, the Xbox One offers live TV. Sling TV is available for watching live premium channels like Food TV, A&E, the Travel Channel, TBS, AMC and more. If you haven’t cut the cord, the Xbox One improves the experience of watching TV from a cable, satellite or telecom receiver. Connect your TV provider’s box to the Xbox One, and the One Guide integrates both live TV and streaming apps so you can choose anything you want to watch from one place. It is both a robust guide of your live TV programming and a list of popular videos that can be streamed from apps. The current upgrade lets you choose genres in each app. You could choose to see a short list of popular comedies from Amazon, critically acclaimed movies on Vudu, or original programming on Starz Play. The One Guide is now a page in the home screen that shows suggested and trending live TV programs. Navigate to a comprehensive guide to live TV, movies from apps, TV shows from apps, app channels or movies you own in the Microsoft Movies and TV app. When you’re watching live TV, use the mini-guide to discreetly see what’s on other channels without leaving or covering up the show you’re currently viewing. Cortana voice commands are part of the Xbox One’s summer upgrade. I’m a big fan of voice commands; they’re one of the main reasons I like to watch videos on the Xbox. Cortana is the voice control feature of Windows 10. It can search the internet for information, launch apps and control volume and media playback. Like Cortana on a PC, it wakes to the command “Hey Cortana.” It will readily search the internet in a sidebar snap screen. This is handy when you want to look something up about the video you are watching or game you are playing. Unlike the Xbox One, which uses the Kinect accessory for voice commands, the Xbox One S doesn’t include a Kinect. To use voice commands on an Xbox One S, you must connect a headset with a microphone (a gaming headset or the headphones for your phone) to the wireless game controller. The microphone is used to speak to Cortana, so you can tell the Xbox to launch apps, pause and play videos, mute or change volume or music, and navigate and select items displayed on screen. My initial experience with Cortana has been erratic and about as unpleasant as using Siri on my iPhone. Often I would use a command like “play video,” and Cortana would look up the phrase “play video” and show results from the web. When launching an app, Cortana displays labels for choosing a video title or menu item. 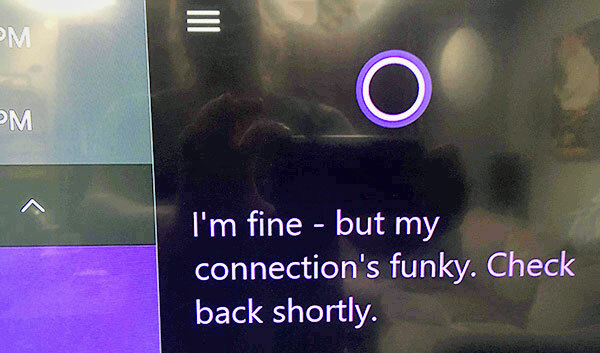 While these word are onscreen, you don’t need to say “Hey Cortana.” After the screen times out, Cortana sometimes reacts to the select command to show onscreen choices. At other times, I couldn’t access it and had to pick up the remote. For me, the Kinect is my other reason for having an Xbox One. The only games I play are workouts — Dance Central, Zumba and Xbox Fitness — which require the Kinect camera to “see” where I am and what my body is doing. Game controllers aren’t a natural extension of my hand the way they seem to be for my son. They don’t look or feel like a TV remote. That’s why I’m happy about the Xbox app for iPhones and Android. Once you connect the app, swiping and tapping your smartphone screen lets you navigate around the Xbox. 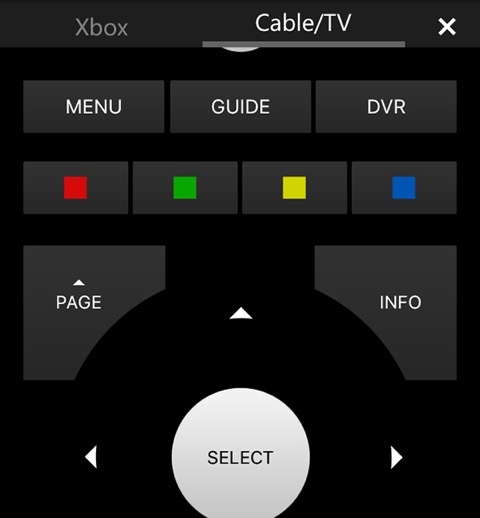 If you’ve connected a cable or satellite receiver to the Xbox One, the app includes a cable/TV remote with channel buttons, navigation, sound, playback and DVR. The One Guide is available in the app, so you can browse for what you want to watch on your mobile device and play it immediately on the Xbox One. Unfortunately, the Xbox app has replaced the previous Smartglass app. Many of the cool second-screen features that let you see and otherwise interact with what’s showing on the Xbox have been removed. The Xbox app is now mostly about control and social interaction with friends on Xbox Live. I’d love to see Cortana added to the phone app so I wouldn’t need to connect to the game controller. Although I’ve first focused on the entertainment aspects of the Xbox One S, it is first and foremost a video game console. The Xbox One’s 4K resolution improves its already clear and immersive gaming experience. Current high-definition video games get upscaled to 4K for a gorgeous picture that lets you sit close to your UHD TV. This fall, Gears of War 4, Forza Horizon 3 and Scalebound will be released in high dynamic range. The contrast and added color depth should be a stunning way to play these games. We downloaded a couple of games to try (OK, my son tried them and I watched) on the Xbox One S. The games are huge files. Halo 5: Guardians is an 87GB file, and it’s neither 4K nor HDR. Not only do you need a fast internet connection to download these games, but it can use up a lot of your internet allowance for the month if you have a low cap (below 300GB per month). Still, the experience was worth it. Gameplay looked even more realistic and vivid on the Xbox One S. The 4K resolution allows players to sit closer to the big screen and become thoroughly immersed. The Xbox One S obviously has remarkable ultra-high definition picture and sound quality. 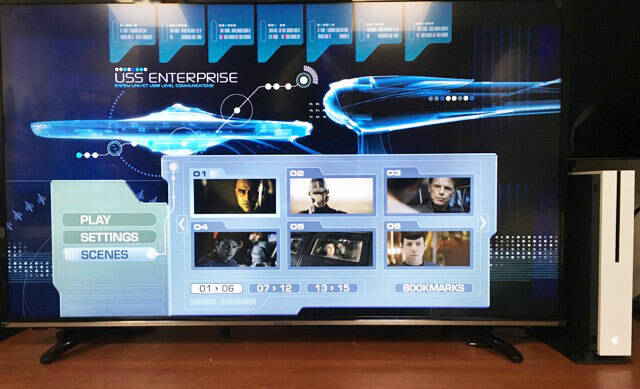 Microsoft sent along the new Star Trek Ultra HD Blu-ray disc, and it was phenomenal. The picture quality is also excellent when the Xbox One S upscales high definition and standard definition streaming content to 4K when attached to a UHD TV. Like other 4K streaming devices, the Xbox One S requires the TV to have a HDMI port with HDCP 2.2 copy protection. If you have a UHD TV with HDR that can take full advantage of the picture quality coming from the Xbox One S, the model will likely have the right connections. If you have a 4K TV made earlier than 2015, check the specs to be sure that it can connect to an external 4K source. Should you buy the new Xbox One S? If you already own an Xbox One, you probably won’t want to buy a new Xbox One S unless you have a 4K UHD TV with HDR. 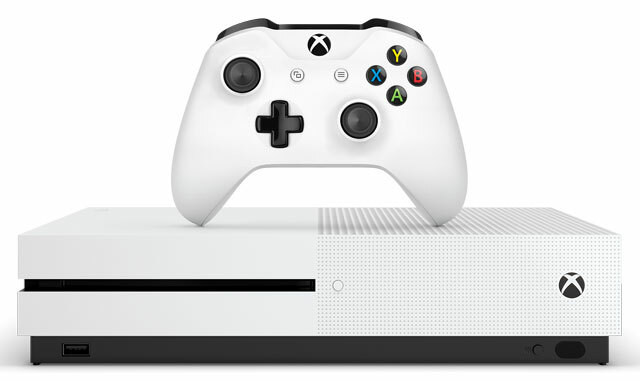 If you’ve invested in a UHD TV because you love the improved picture quality and you’re interested in buying an Ultra HD Blu-ray player, you can get an Xbox One S for close to the same price. Prices are dropping on the Xbox One. Because the operating systems are the same, if you aren’t getting a new 4K TV anytime soon, take advantage of the price drop and get the Xbox One. You can get a 500GB model for about $250. The 2TB launch edition of the Xbox One S starts at $399, and the 1TB Madden FNL edition ($349) and 500GB Halo Collection ($299) are availble for pre-order and are being released on August 23, 2016. At this year’s E3 Entertainment Expo, Microsoft announced the Xbox Project Scorpio, the successor to the Xbox One S. No details have been revealed other than it’s extremely powerful and won’t be available until the end of 2017. If you have an Xbox One, it’s probably best to wait it out; if you don’t have an Xbox One, get the Xbox One model that matches the capabilities of your home theater.